Welcome to A-Plan, Chichester, your nearest branch. 1 Little London, Chichester, West Sussex, PO19 1PH mile away. 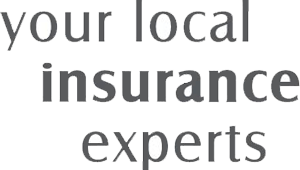 As your local insurance broker, A-Plan Chichester has been serving clients in your area since 2013. We have specialist facilities for private car, home & contents and commercial vehicle insurance. Here at A-Plan in Chichester, we have identified the difficulty in finding the right insurance for Electric Vehicles. Despite the Electric Vehicle market growing rapidly, many insurers are still not able to provide cover. With access to some of the UK's top insurers we can help you find the right policy at the right price, saving you both time and money. Call us on 01243 850880 to find the best deal for your Electric Vehicle. Being the "new kid on the block" can often be a daunting experience and this is particularly true when you are the manager of a new branch within a well-established organisation. At A-Plan Chichester however, we are looking forward to the challenge and are very proud to have been chosen to bring this branch to the local community. We hope that as we provide clients with the right insurance for their needs we will not only save them time and money but will also have the unique opportunity to be able to get to know them and therefore really become part of the local environment. Whatever your insurance needs come and see what we can do for you. Even if your insurance isn't due for renewal just yet, you can pop in, see the new branch and give us your renewal dates and we'll contact you nearer the time. Your Chichester Branch Manager. Get the right cover at a great price! Put our local team to the test to see how we can help you. You don’t need a key to steal a car; anyone who’s ever watched a Hollywood film could tell you that. But, in an age when cars are increasingly locked not with an old-fashioned key but with a keyless entry system, things are a little different from the hot-wiring scenes we’re used to seeing in films. The post Keyless car theft: how to avoid becoming a victim appeared first on The A-Plan Blog.